This post started as a review of the new show on Apple Music, “Planet of the Apps.” I realized the world didn’t need another announcement or review of the show. What I will say is this, any show that aims to help entrepreneurs bring their ideas to life and also transform them into budding businesses that change the world is important. The show features Jessica Alba, Gwyneth Paltrow, will.i.am and Gary Vaynerchuk. I’ve had the privilege of working with this crew (except Gwyneth but maybe one day) going back many years. Gary however, is a friend from back in the day when neither one of us needed anything from one another. We were just friends trying to challenge convention in our own way. As I was writing this post, I realized that I didn’t want to talk about the show as a show. By all means, please watch it. Instead, I wanted to take a moment to share my appreciation for my friendship with Gary. To this day, he helps not only me, but everyone who asks. Even though he has skyrocketed to fame and fortune, he remains human and humble. I don’t know how he does it. Most people I know change perspective when they taste celebrity. It’s one of the reasons I rarely work with celebrities. Gary though, is different. He’s tireless in his endeavors as an entrepreneur, CEO, investor, TV personality, speaker, author, and father. I’m exhausted just typing that out. No matter how successful and famous Gary is, he’s just getting started. What I appreciate most about Gary is that he embodies a “big” persona built upon a foundation of people, purpose, humility and reciprocity. 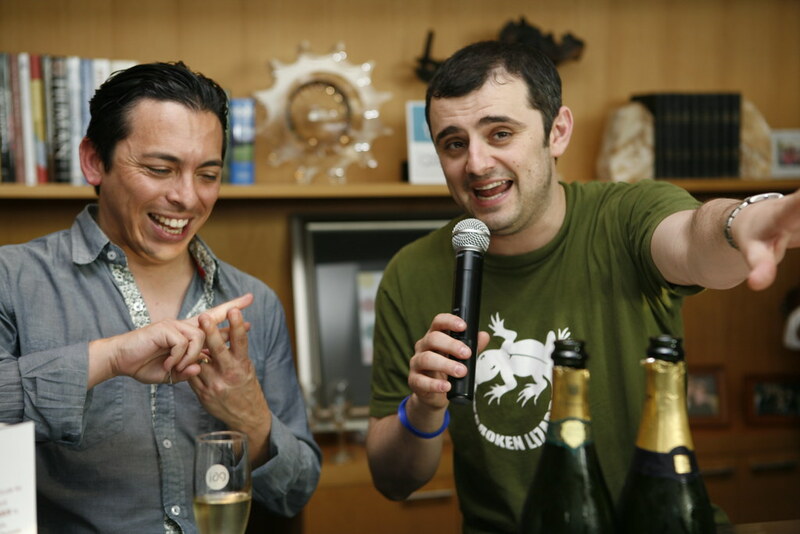 I first met Gary Vaynerchuk in the mid 2000s during the rise of Web 2.0. At the time, he was director of operations at Wine Library in New Jersey and host of WineLibraryTV. I love wine and always believed that the industry was in dire need of shakeup if it hoped to grow and thrive as younger generations matured. Excuse me. Something funny just popped into my mind as I was writing that sentence. Let me share a funny story with you. Frank and I spread the word on Twitter and raced over to the hotel to work with staff on setting up a space for the impending chaos that was soon to hit. In those days, you could organize a legitimate flashmob with just a few tweets. This story is legendary now and even CNET wrote about it. I was an early fan of WineLibraryTV and more so, a big fan of his bold but passionate approach to opening minds. Of course, I am merely one of countless followers in his ever-growing community of admirers. I’m also proud to be his friend. And, that’s the one of many things about Gary that’s always amazed me, his ability to build and cultivate relationships. Over the years, Gary and I have worked together on a several fronts. Looking back on it all, it’s nothing short of astonishing to chart his rise. But none of that compares to Gary’s incredible work ethic and humility. He works harder and smarter than pretty much everyone I know, myself included. In fact, he’s translated his success into building an infrastructure and team that scales his incredible recipe for growth. I’ve learned a lot from him. Investing in relationships is where the real ROI delivers. The thing about Gary is that he lives what he preaches. At the heart of every successful relationship is mutual value and reciprocity. Nothing can be one-sided and prosper over time. Gary gets this. He teaches it. He embodies it. In looking back, beyond our friendship, Gary has always been there for me. So have many others. In fact, I need to dedicate time to thanking them as well. He helped me promote my second book in NY. Gary invited me on WineLibraryTV to help debut Engage at SXSW (also special thank you’s to my dear friends James Andrews and Leora Israel…and PGI for helping with making this happen). He even invited me into his NY studio to launch X. Pretty much every year for the last 10, Gary has come by to support our TechSet lounge and party at SXSW. The list of Gary’s help goes on. That’s just the king (supposed to be kind, but left the typo) of person Gary is…he gives more than he asks. Help others more than you need it. This stroll down memory lane is brought to you by the debut of Planet of the Apps. I wouldn’t have pressed pause to relive these experiences and share with you the personal side of Gary’s graciousness had I not started to write a review of his new show. It’s incredible to see Gary now alongside household names and every bit of it was earned. Here’s to many years and success stories ahead! 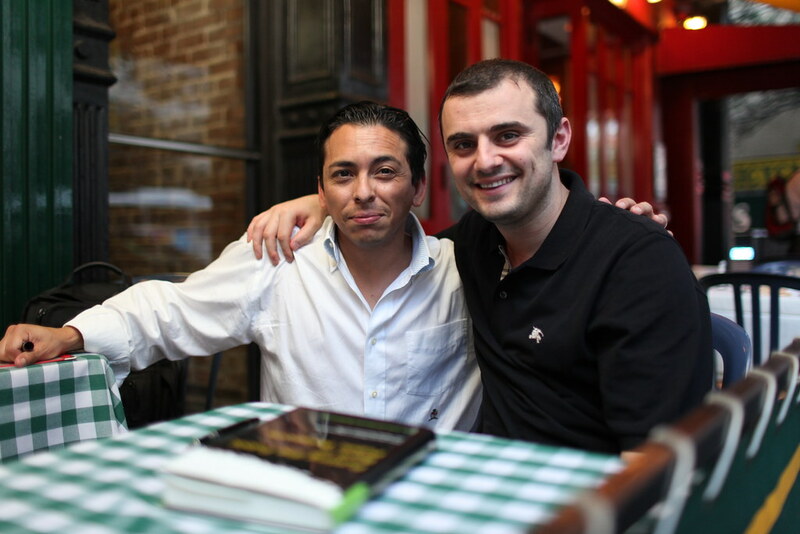 Brian Solis is managed by ODE. Its incredibly amazing for someone like me (an avid vayniac) to read about the origins of the GV legacy. Thank you for sharing! You’re both super-classy guys who have been friendly and supportive of me, of Social Media Club and of great causes year in and year out.